Browse our stanhope jewelry pendant collection. All of our stanhope pendants and necklaces can be personalized with your favorite photo and many have a selection of popular stock images to choose from as well. You'll find hundreds of choices among our Lord's prayer crosses and these too are customizable with any photo. Select your favorite chain style to make the perfect necklace. Our wedding and bridal pieces preserve that special day forever. Our new Indian dream-catcher pendants are available in traditional and Celtic styles. these are great for saying what's in your heart....and there's much, much, more. Visit our Crosses & Crucifix Department for savings of 20% - 60% OFF! This sale include all crosses including Lord's Prayer crosses & Custom Photo crosses. Choose from 29 different prayer images. Beautiful authentic Baltic Amber Jewelry. Amber crosses and heart pendants & necklaces are each home to a stanhope lens. Great prices and a unique alternative to classic lockets. 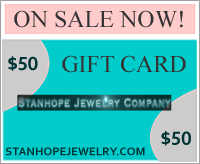 Save an additionasl 10% on our stanhope Birthstone for every month. Not sure of the right birthstone? Use the convenient Birthstone chart. Save an additionasl 10% on Birthstone jewelry one month prior to, and the month of the Birthstone. Hand Carved Figural Frogs, Turtles & other whimsical creatures from bone, antler, wood, and other interesting materials. Great esoteric gift items. Lord's Prayer Crosses 100's of styles and colors with your choice of 24 different prayers. Our cross jewelry can all be customized with your favorite personal photo. Figural Jewelry for everyone. Browse our stanhope charms, pendants, and other figural jewelry. Available with your favorite image! Our baby carriage charm is a real keepsake with your newborn's picture inside! Stanhope Heart pendants are a cool alternative to traditional lockets and other photo jewelry. Great designs in gold, silver, plated metals, amber and more! Stanhope jewelry Pewter crosses are stylish and easily affordable. Sale prices start at ONLY $39! They make a great keepsake gift for just about anyone.